Customer satisfaction is our highest priority. If you’re happy, we’re happy. At G2 Speech, our relationships are what separate us from the rest. As a G2 Speech customer, you will have a dedicated account manager that works closely with your project team, understanding all of your organisations’ needs. Your account manager will ensure that every aspect of the project is fully considered and offer advice and recommendations based on their knowledge and expertise from previous implementations. Meetings, known as Service Reviews, are arranged on a quarterly basis with all customers to monitor service levels and engage in discussion on strategic pathways for continued development of our solutions. Additionally, your account manager will invite you to forums such as our bi-annual User Group and Product Development Groups, where you’ll be offered an opportunity to engage with other customers and our suppliers. These events allow our customers the opportunity to share their knowledge with organisations similar to yourself and help shape the development of our software. 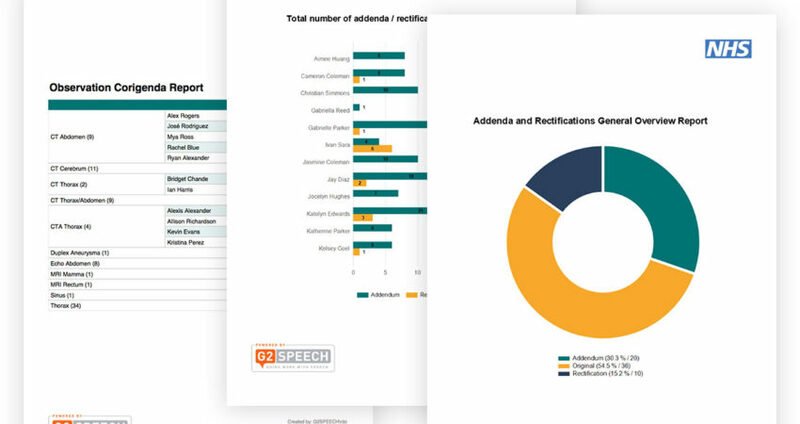 SpeechReport is our enterprise speech technology platform. The system is very simple to use and easy to deploy. Speech recognition for any text field including Microsoft Word and Outlook. Keep track of KPIs with our reporting tool - helping team leaders and managers to keep track of performance. Providing information access and sign off whilst on the go! Our mobility suite has been designed for users that are on the move. Codes can be assigned quickly and simply within one platform. 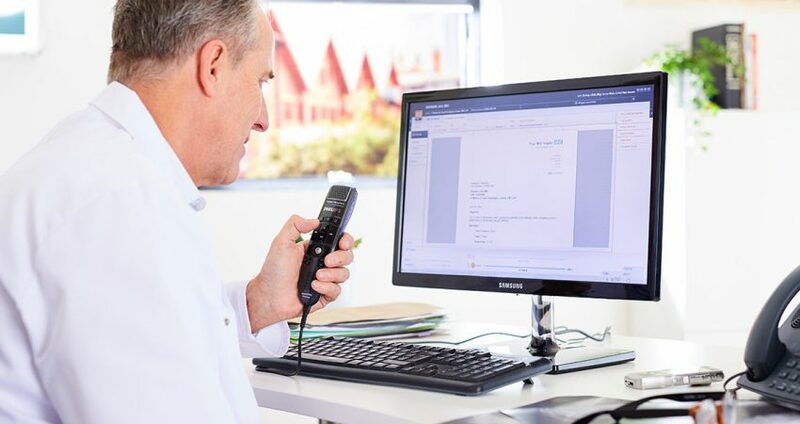 Provides healthcare professionals with the ability to create templates quickly and easily with speech recognition.